The following information was relayed to me during a phone call. I’ve contacted the company to confirm it. It’s quite interesting. Few realize that right after the Chernobyl accident in Russia, one of their biological warfare labs was destroyed releasing anthrax. We didn’t know these things because of the cold war; a period of time in which little real news escaped the USSR. I’m told that more than 600 different substances were tested, including many strains of lactobacillus (probiotics). One of those strains of lactobacillus, identified as lactobacillus bulgaricus (found, interestingly enough in NON pasteurized milk) showed the best immune response when administered. However, from earlier Bulgarian research in the 1960s, microbiologists (and immunologists) learned that by breaking up the bacterium, breaking open the cell walls, an even greater immune response could be initiated. In the early 1960s, Dr Ivan Bogdanov, a Bulgarian medical doctor and microbiologist, researched a variety of lactobacillus strains with the purpose of creating an anti-tumor formula. Bogdanov prepared a mixture of cell fragments from a specific strain of L. bulgaricus, #51. His research team injected a strain of cancer, sarcoma, into laboratory mice. When cancer developed in the animals, Bogdanov administered the crude mixture of cell fragments. The cancer disappeared within a few days. In the following months the researchers attempted to grow the cancer in mice again, but without success―the lab animals’ immune systems rejected the cancer cells. This experiment is the first documented research demonstrating the effectiveness of lactobacillus cell fragments. The cell walls of probiotics contain complex sugars, proteins, and amino acids. The cell wall of the lactobacillus bulgaricus, when fragmented, becomes highly activated and starts kicking the immune system in gear by activating switches in that system. Cell Wall Fragments Following Lysing (circles). Russian studies have determined the potent immune components reside within the cell wall. Micrograph of Cell Wall Fragment Containing Immune Active Components. It is estimated over 2 billion cell wall fragments are contained in each capsule of Del-Immune V™. The Russians continued studying this substance in numerous ways and proved it to be very powerful in protecting individuals from pathogens that could be released in a biological attack. It was then tested in the State Cancer Hospital in Saint Petersburg in 1992. We here in America did not hear much about these studies due to the cold war. However, with Perestroika, not only did we hear about this new product, the product was privatized and the manufacturing of it was bought out and moved to the US. The story behind this is interesting too. A pharmacist by the name of John Sichel received a sample of the product in 1999. His daughter came down with the flu, he gave it to her, and her flu symptoms were gone in just eight hours. Sichel was impressed. But it ended there. One problem with most human beings is we need to be slapped upside the head a few times before things set in. Sichel’s daughter, Pamela, came down with Hepatitis C and showed all the symptoms. Her doctor had told her that her viral load was up to a quarter million. Sichel, remembering the product that had helped her flu, suggested his daughter try the formula he’d received from Russia, though he didn’t really expect much to happen. Long story short, she improved rapidly and three months later her Hep-C symptoms were gone. Today she still uses the Del-Immune V™ daily. This time Sichel realized he’d had something. He also knew how our system works in America and decided to go to Russia where he spent the next three years commuting back and forth while working on moving the manufacturing process to America. Not only did it move to America, but further research has produced a more powerful product. 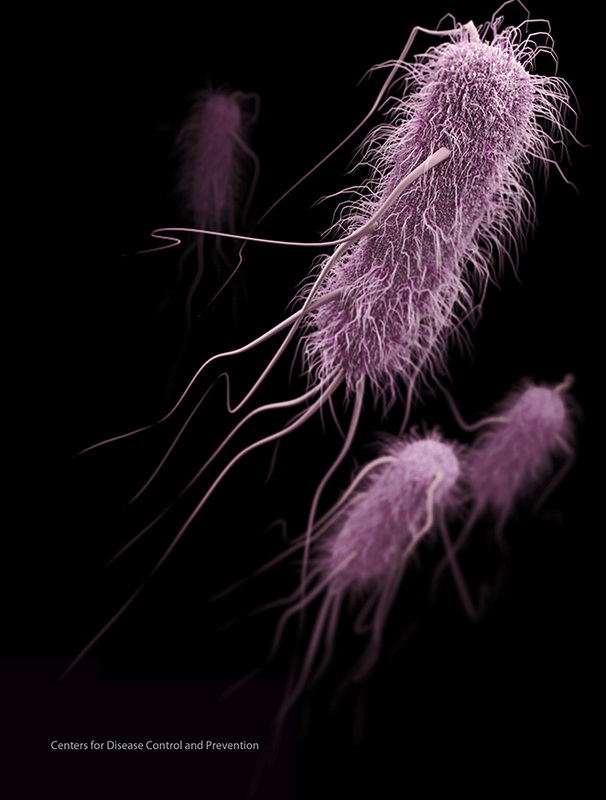 In America, the particular bacteria used is the Lactobacillus Rhamnosus (DV strain). Additionally, Sichel found a company that grows bacteria on a very powerful medium and today the product is much more powerful (estimated at least 10 times more powerful, and at the most, 30 times more powerful) than the original product. Basically, Del-immune V™ activates a switch in the immune system that in turn quickly starts the protective system against infectious and foreign invaders. Proteins and other components important to the immune system are manufactured within the healthy lactobacillus cells used to make Del-Immune V™. But these important proteins, complex sugars and other structures exist on the inside of the cell so they are not visible to the immune system. When the cell walls are fractured, the immune-activating proteins are available to do their job. This fracturing process is called “lysing.” Original Russian research conducted in the 1980s demonstrated the proteins and other components in the cell wall “activate and excite” an important switch in our immune system. 1 capsule daily for normal preventive function. 2 capsules every 12 hours at the first sign of the flu (or any illness). Continue this regimen until you feel better (usually no more than three days). However, it is reported that people with HIV/AIDS are using 20 capsules a day, and this is ALL they are using. For people who travel a lot, 3 – 4 capsules a day is not unreasonable. I and people close to me take 8 – 10 capsules at first symptoms of a cold or flu, and a teaspoon – tablespoon of BACO (in a glass of water), and then rest. When we rise, it’s gone. Everyone has reported that this works. However, you have to do this at first symptoms. Put if off a few hours, and you’ll be battling the illness for a while. And yes, this is anecdotal evidence; fewer than 20 people have reported that this has worked for them. But no one has reported it did not work. Minimal side effects can be seen at 50 to 100 times the suggested dosage; these amount to gastric upset in “some” subjects. At normal dosage, there have been no side effects reported, even in people who are lactose intolerant since the product is no longer made with any milk products. Simply the Best has arranged for our readers to get a good price. And no, they cannot beat Amazon’s pricing and free shipping, but we ask everyone to support Simply the Best because they are a Minnesota Non-Profit and all their employees (and the CEO) are volunteers. They donate all their profits to charities. So please, just go here: Simply the Best has Del-Immune. A Cure for Type Two Diabetes — Accidentally discovered! © 1997-2018 Minnesota Wellness Publications, Inc.